Ultimate support by Silentnight, moulds to your unique shape, reduces pressure points on your spine and assists in reducing aches amd pains. Extra soft removable cover. Comfort and luxury to create a sleeping experience. 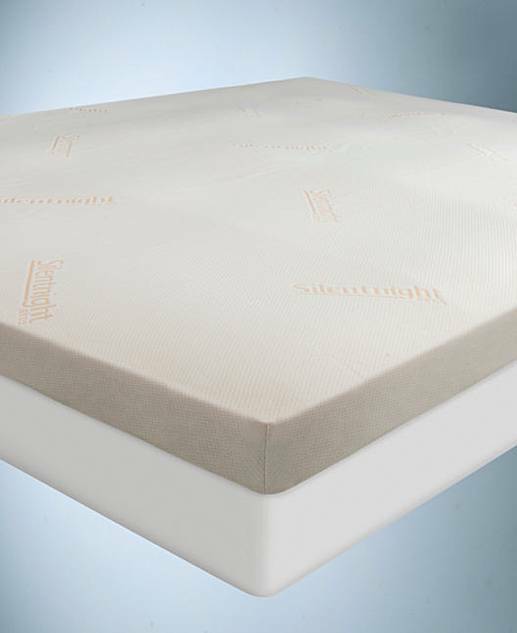 Contains 1 x 5cm Memory Foam Mattress Topper. Single: 90 x 190cm/35 x 75in approx. Double: 135 x 190cm/53 x 75in approx. King: 150 x 200cm/59 x 78in approx. 75% Polyester, 25% Cotton. 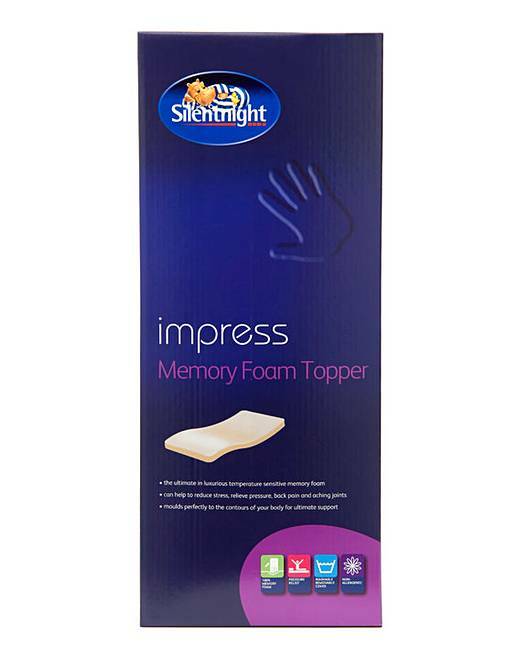 Filling: Memory foam.